Canada wants the Obama administration to make a decision about the proposed Keystone XL pipeline now, even if it's not "the right one," Foreign Affairs Minister John Baird told a business audience in Washington, D.C., today. Foreign Affairs Minister John Baird wants a decision soon on the proposed Keystone XL pipeline, even if it’s not the one the federal government is counting on from the U.S. administration. Baird told an audience at the U.S. Chamber of Commerce in Washington, D.C., on Thursday that building Keystone XL would create thousands of jobs and prompt economic growth on both sides of the border. “With the construction season coming up, I don’t want a single unemployed worker sitting at home when they could get a knock on the door saying ‘we’ve got a great job for you,’” Baird said. 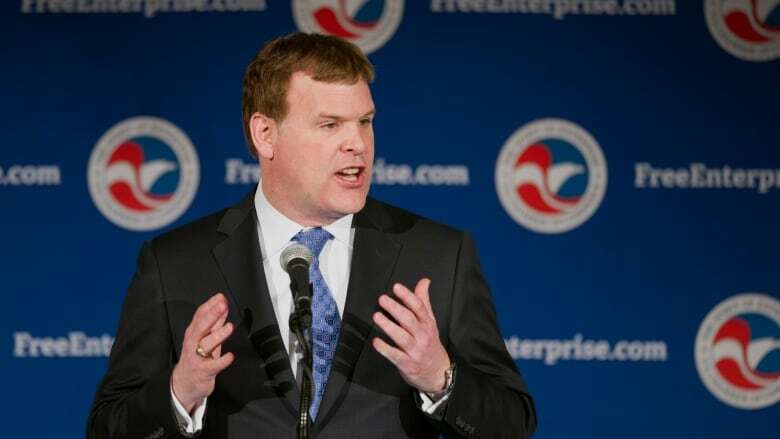 Baird outlined three key reasons why the TransCanada pipeline that would carry oil from Alberta to refineries in the Gulf of Mexico should get the green light from President Barack Obama. He said there would be “no significant environmental impact,” that Canadian oil would offset imports from other sources and that carrying oil by pipeline is favourable to carrying it by rail. “U.S. energy independence is too important; the environment is too important; and our economic growth is too important,” Baird said about the need for a decision to be made one way or the other. Baird is in Washington for the North American ministerial meeting with his counterparts Secretary of State John Kerry and Mexico’s Jose Antonio Meade. The meeting is Friday but he arrived early and had multiple meetings with American lawmakers on Capitol Hill on Wednesday and Thursday and with others including National Security Adviser Susan Rice. It is Kerry’s department that is currently finishing off a final environmental assessment report on the Keystone XL proposal and Baird said he hopes that will be completed in the coming weeks. Then the final decision rests with Obama. “We’ll be making a strong case that this is a priority for an important friend and ally of the United States,” Baird told reporters about his meeting Friday with Kerry. He wouldn’t elaborate on any contingency plans if Obama rejects the pipeline project and said his government is focused on getting it approved. Baird said a number of safety improvements have been made to what was already a safe project and that the proposal has been thoroughly studied by a number of agencies in the U.S. capital. Baird also addressed other bilateral issues including trade and streamlining regulations through the Beyond the Border initiative during his remarks to the chamber of commerce. Harper recently suggested the U.S president had "punted" a politically uncomfortable dilemma by adding additional steps to the regulatory process. Harper also told a US audience in New York last September that Canada would not take "no" for an answer on the Keystone XL pipeline.